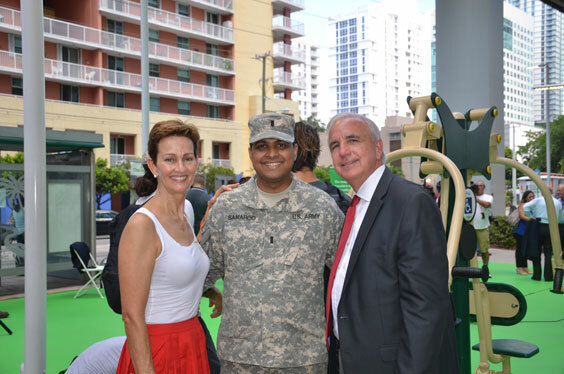 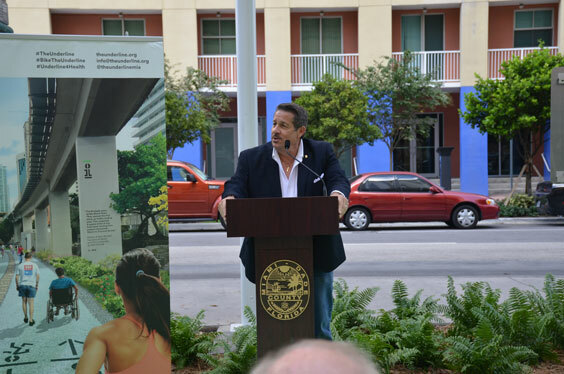 With a large audience of Underline supporters and Brickell area property owners and neighbors, on a steamy Tuesday August 23rd morning, Miami-Dade County Parks, Recreation & Open Spaces had a ribbon-cutting to celebrate the opening of the pop-up gym at the entrance plaza of the Brickell Metrorail station. 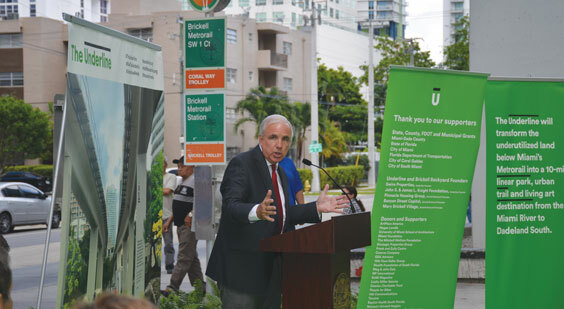 Parks Director Jack Kardys served as MC of the event and reiterated the development of The Underline project and the department’s Master Plan for Connectivity of trails and bike paths. 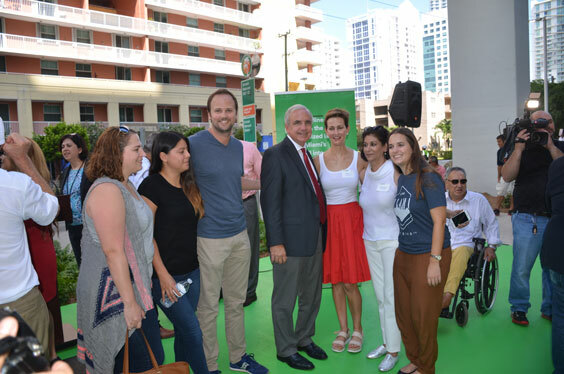 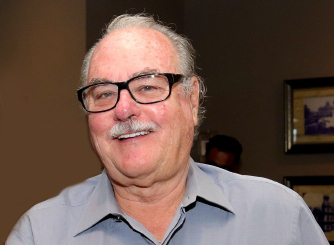 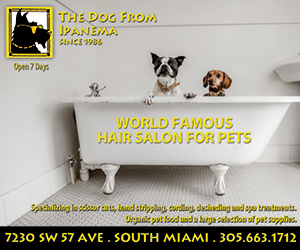 An enthusiastic supporter of The Underline, Mayor Carlos Gimenez noted that the temporary park was created in record time. 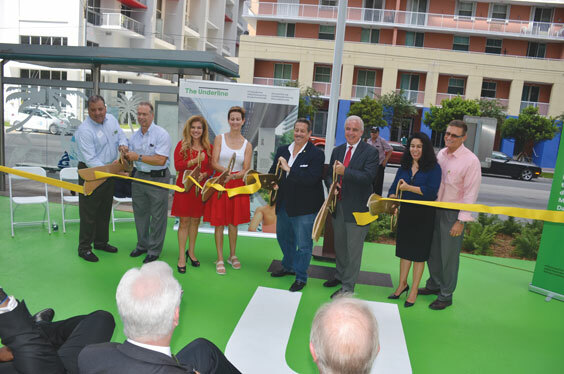 Miami Dade County Commissioner Pepe Diaz and Transportation Director Alice Bravo all shared their excitement about The Underline’s progress and promise. 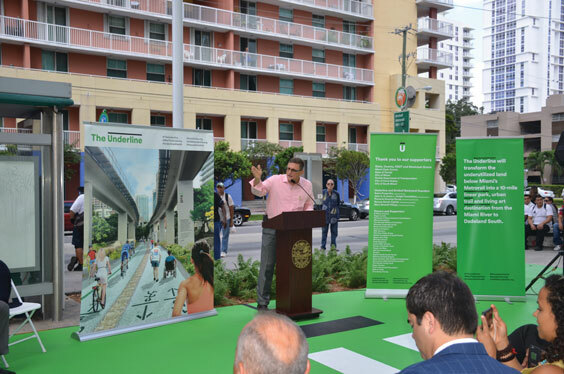 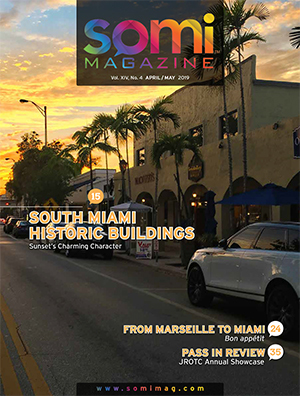 The Underline is the name given to the project to create a ten-mile urban trail and linear park under the elevated Metrorail from the Miami River to Dadeland South. 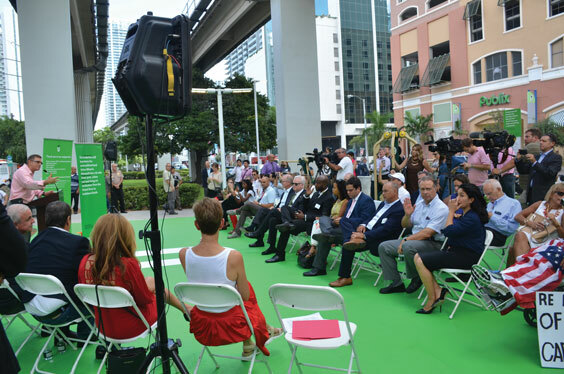 The Brickell Station is planned to be the first leg of The Underline to be constructed. 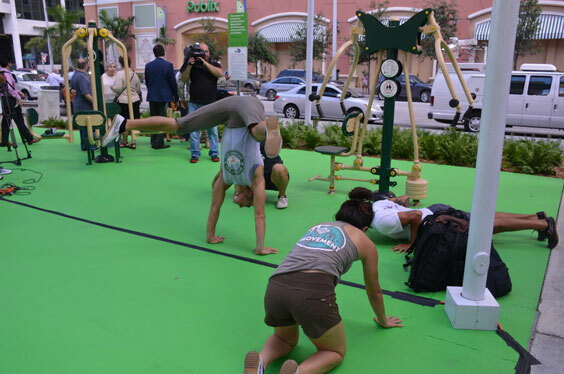 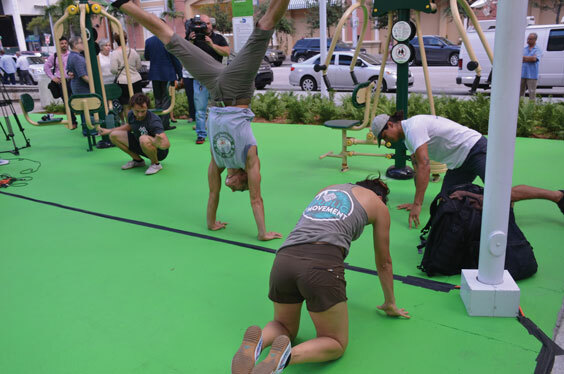 The Pop-Up Gym is a demonstration project as to the activities which would be incorporated into the development of the overall plan. 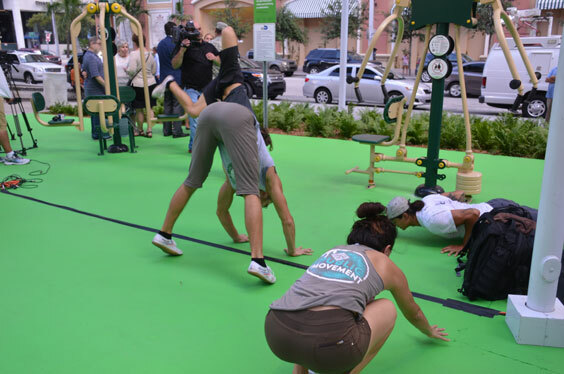 Each leg of the ten-mile trail will offer different amenities, activities, landscaping and more. 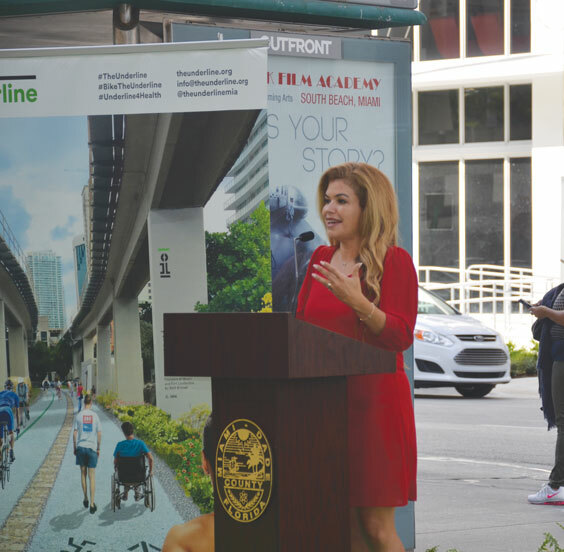 For more information about The Underline, go to www.theunderline.org. 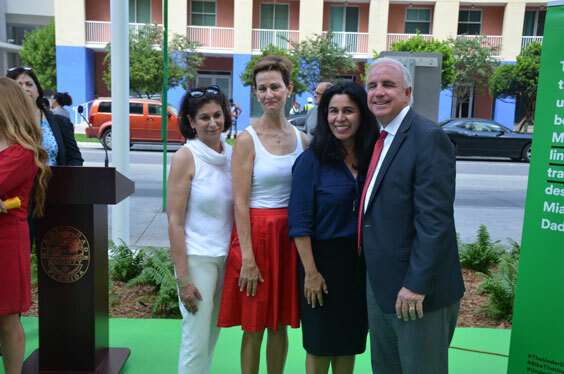 The Underline founder & president Meg Daly acknowledges the work of the county staff and organization volunteers. 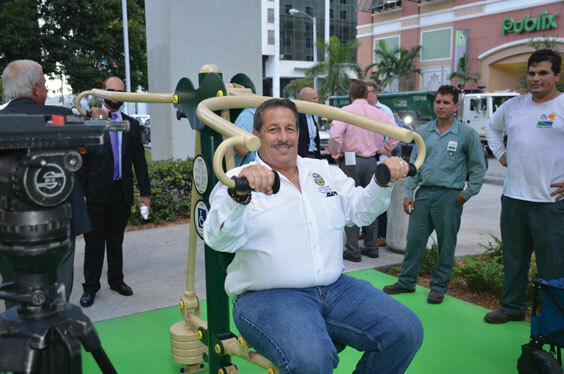 Commissioner Pepe Diaz trying out the equipment. 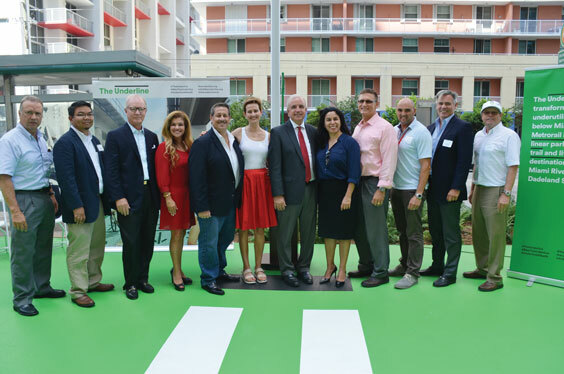 Pictured at the event are: George Navarette, Benjie de La Pena, Steve Owens, Alice Bravo, Commissioner Pepe Diaz, Meg Daly, Mayor Carlos Gimenez, Maria Nardi, Jack Kardys, Alfred Lurigados, Rudy Touzet, Louis Wolfson III.